Food industry uses recirculated cleaning operations (CIP) and increasingly sophisticated systems that allow the automation of processes and the recovery of washing solutions at the end of recirculation. 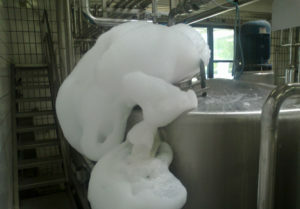 In parallel to the devices development chemical manufactures have formulated detergent products that allow to carry out washing procedures in a shorter time and with much lower water and energy consumption compared to the washings carried out with the traditional 5 phases: prewash; caustic solution cleaning (soda 1,5-2% as NaOH); intermediate rinse; acid solution descaling (nitric acid 1-1,5% as HNO3); final rinse. The alternative procedures, called single-phase procedures, usually made by strongly sequestering caustic products, are carried out in three phases: prewash; monophase cleaning (product 1,5-2,5%); final rinse. It is understandable that the suppression of two phases (the intermediate rinse and the second circulation of acid detergent solution) implies time and water economy. Moreover who has experience of recirculating washes will immediately realize how the single-phase procedures allow to avoid even the timing and the consumption of water linked to the steps of preparation of the phases that are suppressed, for example the preparation and start-up times of the acid solution. Since most of the CIP cleanings is run on equipment (trucks, lines, tanks of raw or pasteurized products) that do not undergo heat treatment during processing, it is possible to further optimize the washes by adopting single-phase acid procedures conducted with Celon MPB developed by AEB. Chemical consumptions: Celon MPB acid washing solutions do not produce foam, so they have a very high recovery rate compared to that of alkaline solutions. Furthermore, we can work with much lower product concentrations. 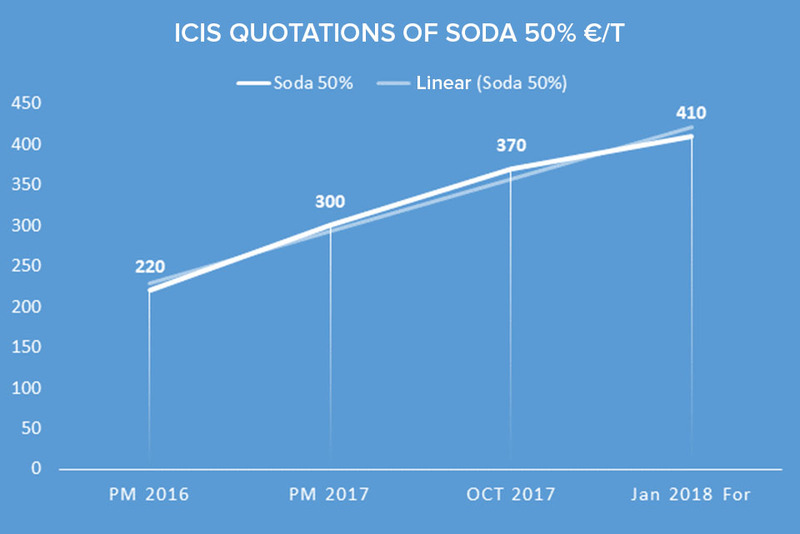 These characteristics make it always convenient to adopt the procedures in single-phase acid but the current quotations of soda push further towards choices that minimize the use of caustic chemicals, limiting for example the use of them only to the cleaning of heat exchangers. Water Saving: the rinsing of surfaces in which an acidic solution has circulated requires less water than the one required by surfaces previously in contact with caustic solution. During the test, with the simple use of pH indicating maps, it will be possible to determine the times required for the full rinsing of each washing line. Energy Saving: an acid cleaning solution based on Celon MPB allows efficient operations at temperatures between 60 and 70°C while operating with caustic solutions it is necessary to reach at least 75°C. Furthermore, we should not forget that the greater consumption of the solution, due to the formation of the foam, involves consumption of thermal energy to heat the part of solution to be replenished. Productivity of the equipment: the lower amount of time required by single-phase acid procedures compared to traditional washes, as well as translating into energy savings, entails greater use of the plants in production phases compared to the washing phases. The AEB commercial technical service is available to customers to study the most suitable washing procedures to optimize costs and consumption of water, energy and washing products.